Casino International | Is Macau on the wane for good? Is Macau on the wane for good? 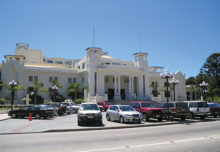 Casino International > Latest News > Latin American News > Is Macau on the wane for good? Reported figures for Macau’s gaming revenues are the lowest yet – but what does this mean for the future of gambling in the world’s largest casino resort? Casino revenues in Macau fell by close to twenty per cent in November compared with the previous year. Total revenues came in around 24.3bn patacas (or around $3bn / £1.9bn) from the Chinese dependency’s 35 casinos. This is the sixth consecutive year of decline on an annualised basis and the fifth monthly drop in revenues in a row. Macau is an ex Portuguese colony, occupying a small peninsula plus two islands off the southern coast of China. The region is situated on the western edge of the Pearl River Delta around 64 miles across from Hong Kong, and is the only place in the whole of China where casinos are legally allowed to operate. But the Chinese government’s much publicised anti-corruption drive is thought to be one of the main reasons behind Chinese high-rollers cutting back on their gambling spend. What’s more, the ongoing protests in neighbouring Hong Kong from pro-democracy protestors in may well have played a role in discouraging tourists from paying gambling visits top Macau. Hong Kong is a relatively short ferry trip from Hong Kong and this had become something Chinese tourists do in huge numbers of course. Macau remains the world’s largest legal gambling hub – having pushed Las Vegas into second place in 2006 when returns from Macau overtook those of the US gambling mecca for the first time ever. This October, Macau recorded its worst ever total gaming revenues – which were twenty three per cent down on the equivalent month in 2013. Of course, there are many other likely contributory factors. It may be that more Chinese gamblers are finding ways of playing in online casinos – whether legally so or via other means. It may also be that after a decade of rapid growth and what might be seen as “easy money” the slight slowdown in growth in the Chinese economy and gradually dawning of a little worldwide pessimism is beginning to play a role. Alternatively – it may be that the traditionally gambling mad Chinese are finding other illegal ways to gamble within the country. What seems most likely of all, though, is that a little casino gambling fatigue has begun to set in. In other countries all around the world, the online gambling craze saw the big casino operators such as 888 Casino, 32Red, Skyvegas and many others battling for supremacy. This is still the case but the rate of growth has slowed down somewhat and the big boys are now battling hard for the existing market rather than one which is growing at a rapid pace. So at the 32Red Casino, for example, gamblers from different countries all around the world where gambling is legal anyway, can pick up big free introductory bonuses in their own currency just for joining the site ibn the first place. There is even straightforward no-quibble free cash available in some countries. This gives some indication of how competitive the online casino business is. And if it’s this tough online, you can make a safe bet that it’s as bad if not worse in the old-fashioned physical casinos that caused places like Las Vegas, Macau and other resorts around the world to grow so quickly in days gone by. Of course the big question is what will happen next in Macau. This special administrative zone of China relies almost totally on its gambling tourism and tax revenues therefrom – for its rapid economic growth. And as in all other walks of business life – when rapid growth naturally cools down a little, it causes people to panic – even though such a slowdown may have been seen as inevitable by other people. 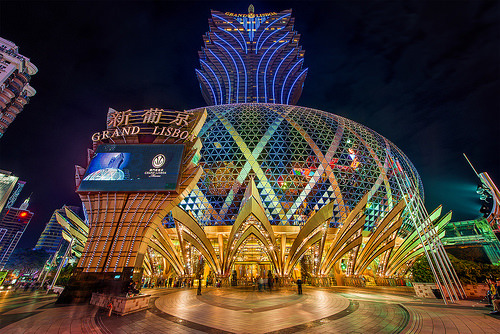 In particular, Macau relies very heavily on the gambling revenues which are generated from big-spending tourists who tend to make the crossing from Hong Kong. It seems likely that as Hong Kong’s problems fade away and the oxygen of publicity becomes a little more starved as always seems to happen in these situations – the flow of tourists and their money will return to Macau. The Chinese just love these places too much for this not to happen and there are few signs yet of any further legalisation of gambling in any other parts of the country. The foreign casino companies which invested so much over recent years after the monopoly by Hong Kong tycoon Stanley Ho ended in 2002 – will do all they can to see a return to growth. But at the same time, the decline in revenues has sent a clear message that Macau has been far too reliant over the last decade on its traditional gambling industry. This is something the authorities will surely want to change – so watch this space.